Dr. Jesus R. Rivas, PhD; EdD & O.M. President & Chancellor of TAU Divinity University (TDU), of Florida, USA., since 2014. Professor of Theology and Biblical Studies at TDU, School of Theology and Ministry. Analyst and researcher of the Jewish tradition of the Lord Jesus Christ (ישוע, Yeshua), the Torah and Jewish mysticism, the New Testament and Judeo-Christian Religion. Is a Ordained Minister (O.M. ); Psychotherapist, Mentor, and Coach. Bachelor of Arts in Theocentric Business and Ethics. Master of Science in Organizational Psychology. 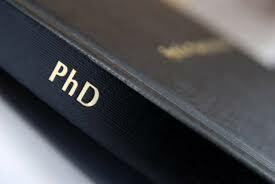 Doctor of Philosophy with a Major in Education and Specialization in Guidance and Counseling, and PhD in Management, with vast teaching experience, began in 1981 embracing: contents research, professor at degree level, postgraduate and postdoctoral professor, tutoring of special degree works, academic consultant, academic director and international executive director. Studies of Laws in Commercial Law & Professor of Executive Legal Analysis, research, and writing. Acmt Fellow (F.A.C.M.T. ), Studies of Metaphysical Theology, Bachelor of Arts and Minister, Acmt - Minneapolis, 2002. Previously from 1982-1994 he did Studies of Psychoanalysis and Continuous Medical Education. Strategic Psychotherapist (Post-Graduate). Has over 20 years' experience in Holistic General Practice. Strategic Psychotherapist (Post-Graduate). Credentials in Naturopathic (ND) & Homeopathic Medicine (1992). Has over 20 years experience in Holistic General Practice. 1974-1997 Carried out advanced studies in Banking, Systems Analysis, Information Systems-Computer Science, General Bank Management and Executive Legal Analysis, areas where he developed important careers at commercial banks occupying top managerial positions for more than 25 years. Affiliated HASTAC Members, learn more. Sobre el significado de la palabra Tau.